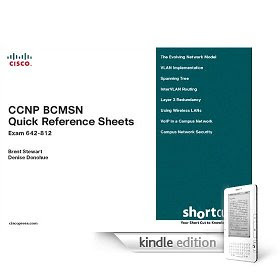 As a final exam preparation tool, the CCNP BCMSN Quick Reference Sheets provide a concise review of all objectives on the new CCNP BCMSN exam (642-812). This digital Short Cut provides you with detailed, graphical-based information, highlighting only the key topics in cram-style format. 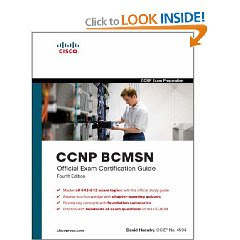 With this document as your guide, you will review topics on campus networks, advanced spanning tree, virtual LANs (VLAN) and inter-VLAN routing, high availability, wireless client access, access layer voice, and campus network security. 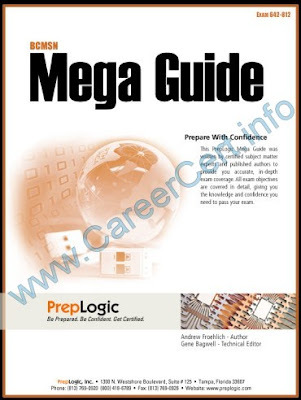 These fact-filled Quick Reference Sheets allow you to get all-important information at a glance, helping you to focus your study on areas of weakness and to enhance memory retention of essential exam concepts. 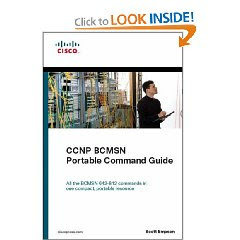 Cisco bcmsn lab manual pls ?? Yes there is..i'll update this soon.